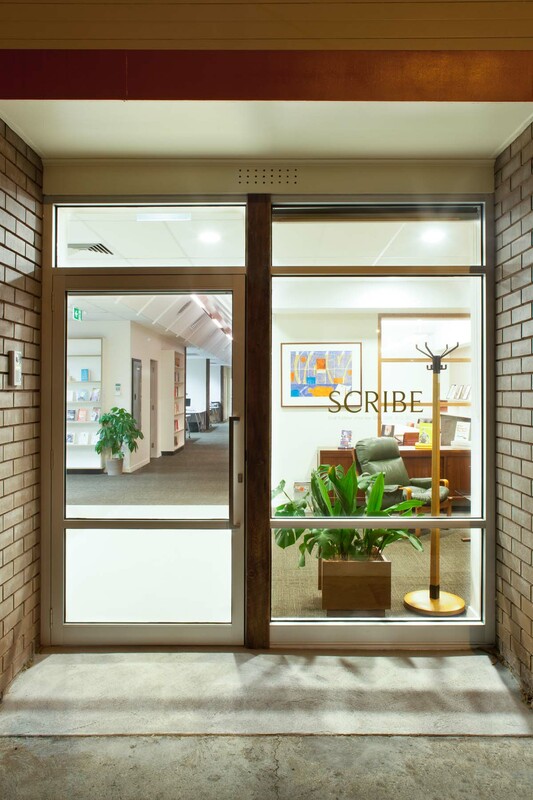 This 1970's warehouse converted into modern publishing house in Scribe Publications retrofit by DiMase Architects. 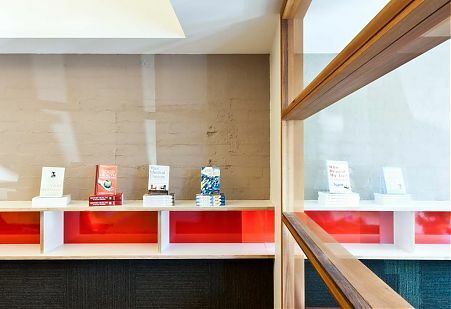 Pitched ceiling opens up the connection spaces within the office at Scribe Publications warehouse conversion by DiMase Architects. 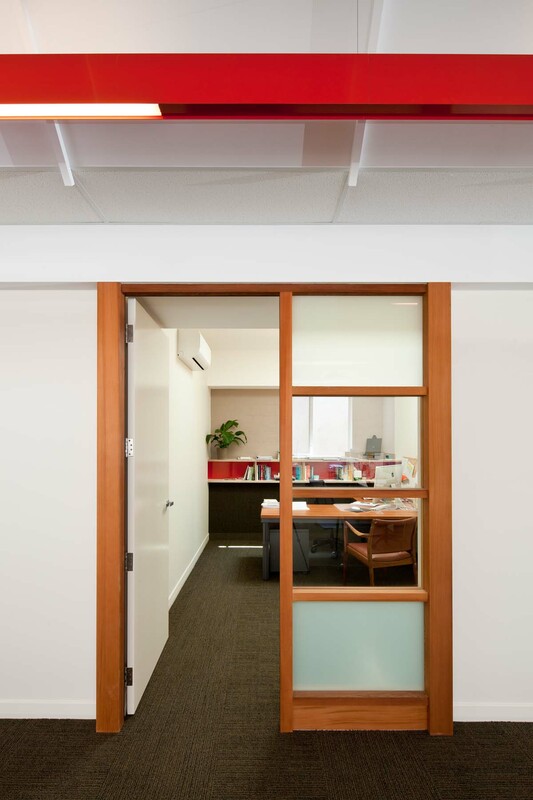 Timber door frame into private office space for Scribe Publications warehouse conversion by DiMase Architects. 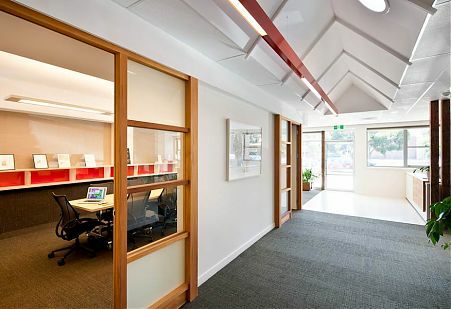 Our Office Refurbishment for Scribe Publications - timber, light and colour creates an inviting working environment. 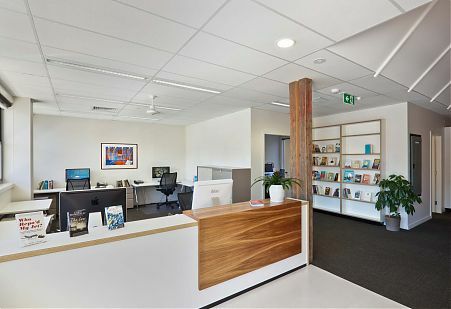 Timber features accent the light-filled office reception area at Scribe Publications warehouse conversion by DiMase Architects. 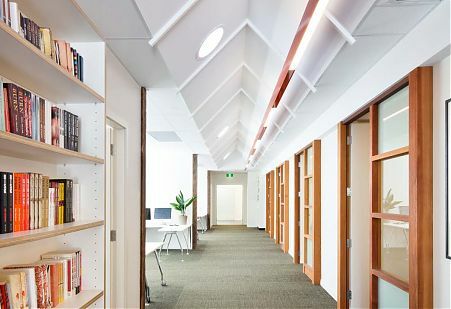 Pitched ceiling line creates an open connection across the open plan work spaces for Scribe Publications warehouse conversion by DiMase Architects. 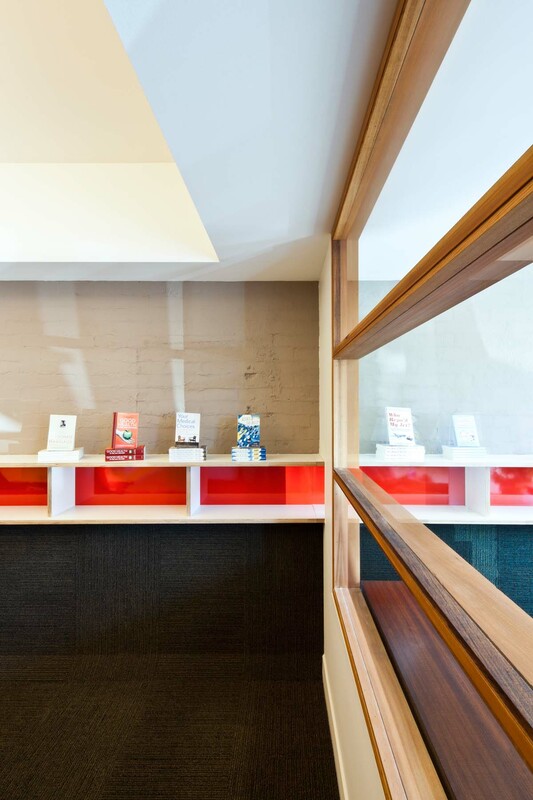 Expansive timber windows flood the interior space with light in the Scribe Publications warehouse conversion by DiMase Architects. 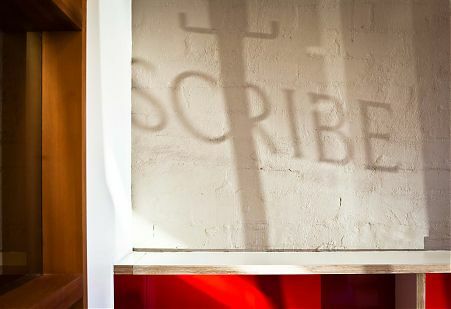 Shadow of signage on brick wall of Scribe Publications warehouse conversion by DiMase Architects. 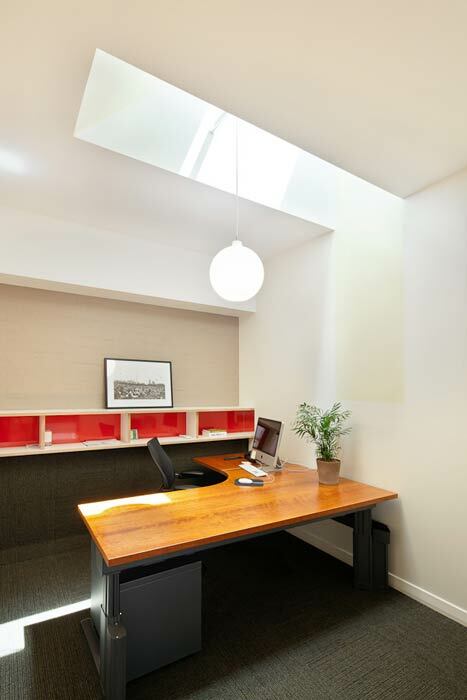 View to skylight void in office space for Scribe Publications warehouse conversion by DiMase Architects. 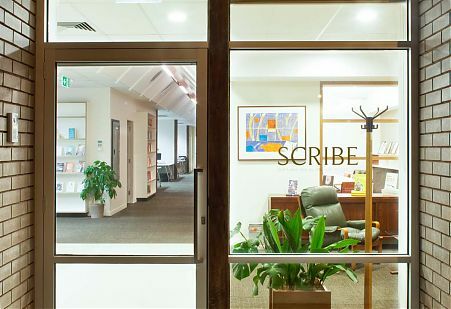 This commercial contract to convert a 1970s open-span warehouse into a modern and professional office space for Scribe Publications became a signature project for our firm, particularly for its creative re-use and daylight design. 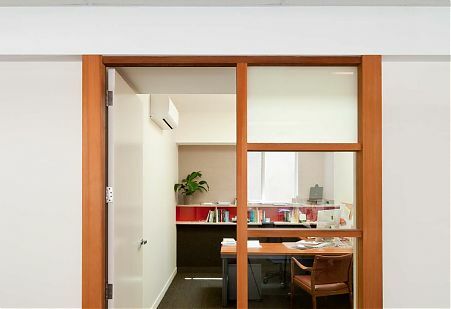 We left the existing seventies industrial exterior largely unchanged, but for a lick of new paint that subtly introduced the new occupant and bright red circular bicycle racks that suggested a new purpose for the building. The real work took place on the inside. To a large extent it was a case of constructing a new building within the building, creating a modern office environment in what had previously been the domain of forklifts and pallet trucks. 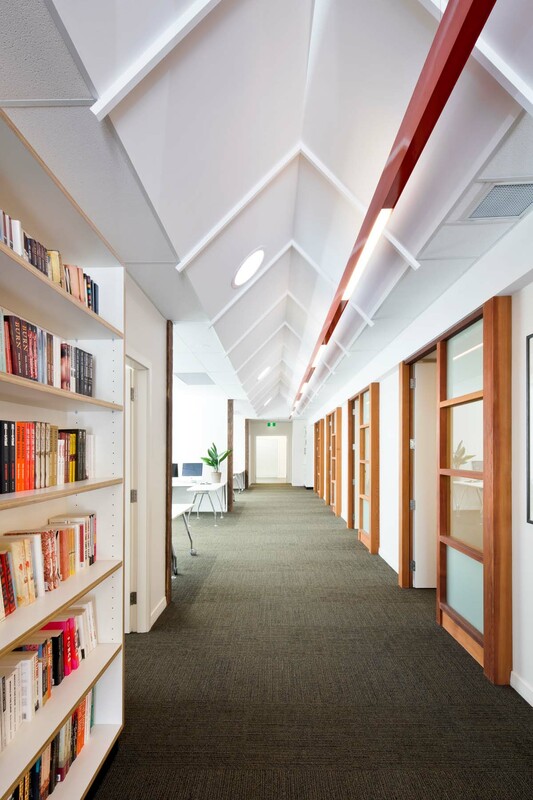 The project involved the creation of editorial and meeting rooms, multiple office workspaces and an archive area, along with dining, kitchen and toilet facilities. 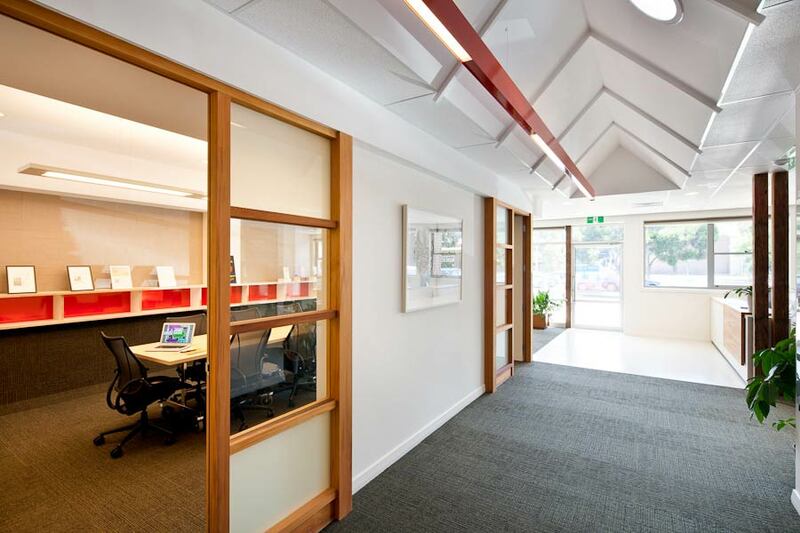 Our design used warm timbers, patterned carpet tiles and sculptural ceilings to create a contemporary, welcoming feel. The building had almost no existing natural light and was essentially ‘landlocked’ by the buildings on either side. 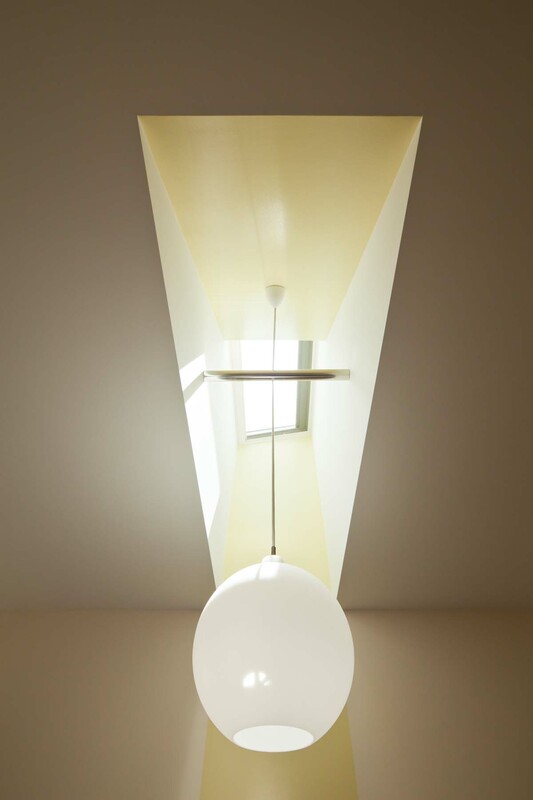 Nevertheless, we were able to introduce large amounts of daylight with the use of overhead skylights and large front windows. 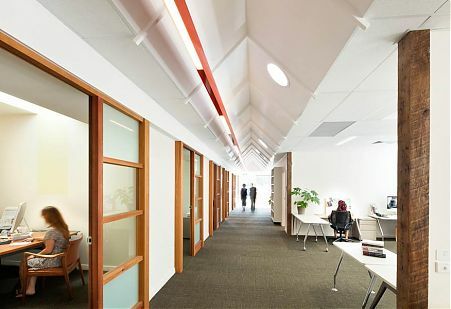 Aside from introducing light, the clear skylights provide a direct connection to the outside, the mood of the editorial rooms shifting with the clouds. 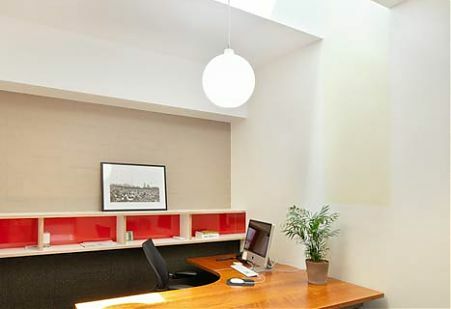 The overall effect is one of calm, private open spaces that are nonetheless at one with the outside world. 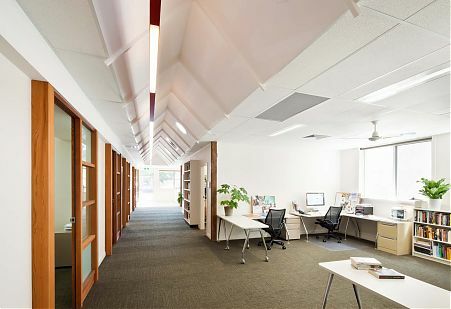 This was also a project in which we were able to pursue our passion for creative re-use. At the outset it could very easily have been a case of ‘bulldoze and re-build’. 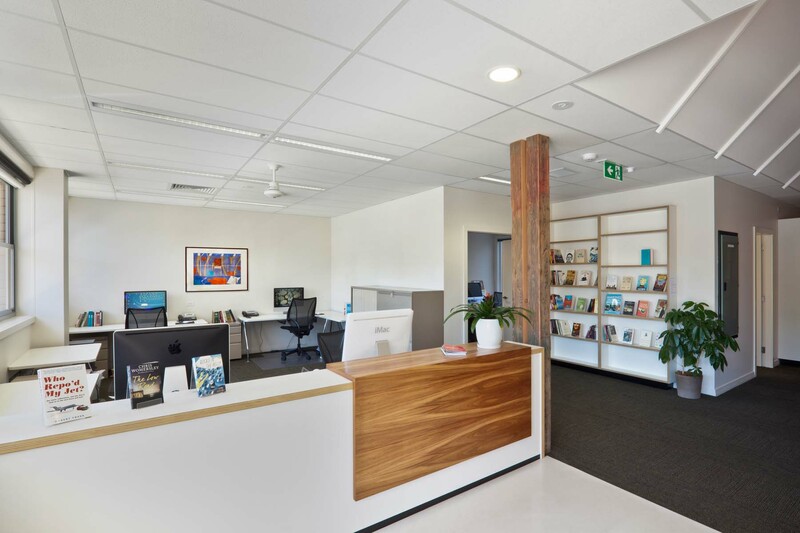 Instead it became a case study in economical and environmental design, in which we pursued every opportunity for sustainable design and construction. 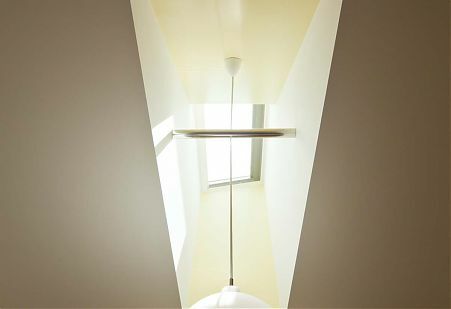 The shell of the building was thermally sealed using modern materials. Obsolete air conditioning ducts were re-purposed and existing materials where incorporated wherever possible. 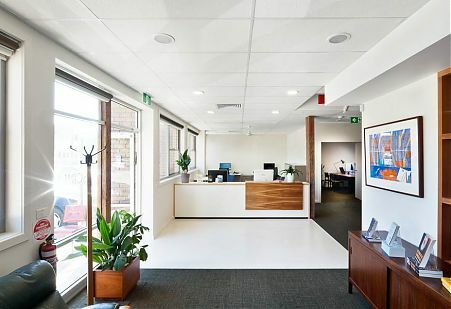 Working with such an old building, it was important to integrate the newer technologies required for thermal control and energy and waste conservation. We were pleased to be able to create a new and exciting space for Scribe Publications while exploring the potential of daylight design and working with recycled spaces and materials.